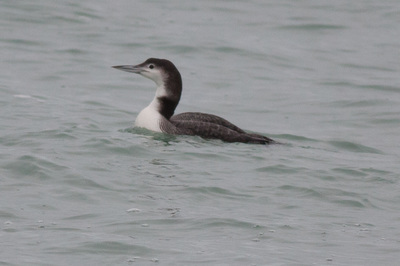 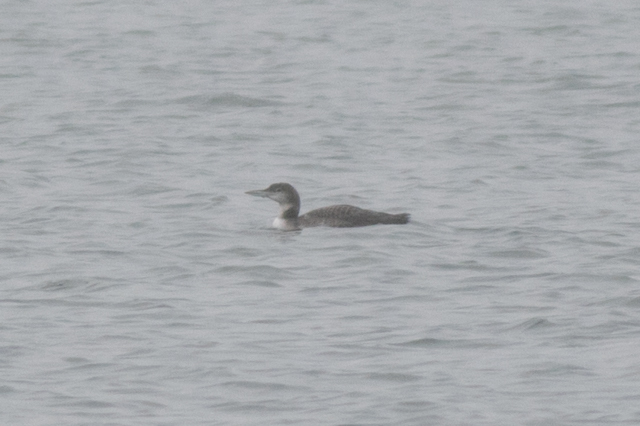 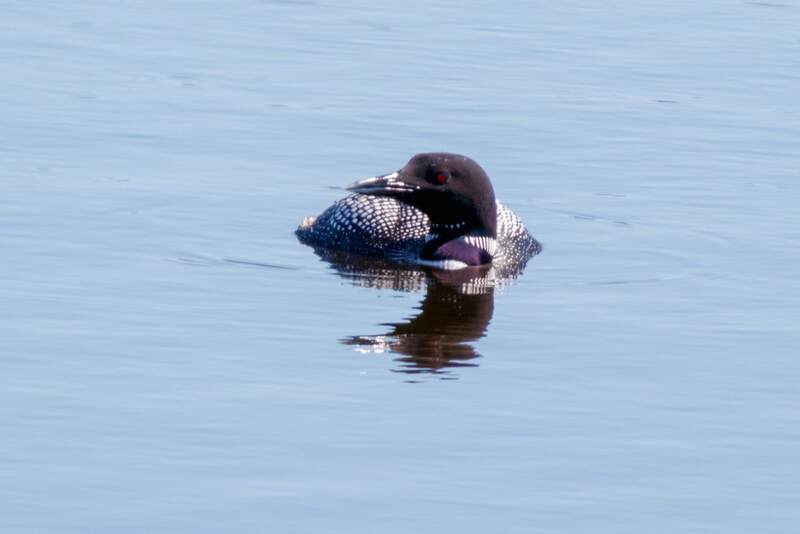 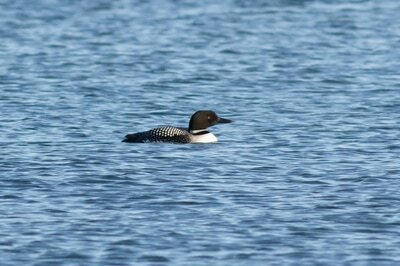 The typical Loon that will be seen in Michigan from Spring to Fall, with the "haunting" call that is so well known. Most bodies of water around here are "ideal" spots to try to look for one of these during migration. 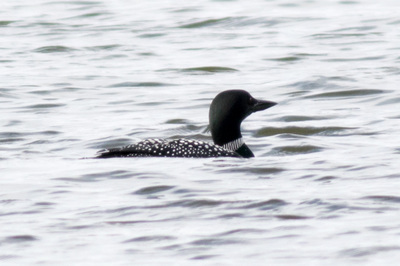 With their breeding spots much farther to the north (except the Barry County breeders) you have to try to get these birds at the right time. They should be in their breeding plumage, as pictured below, during this time period. 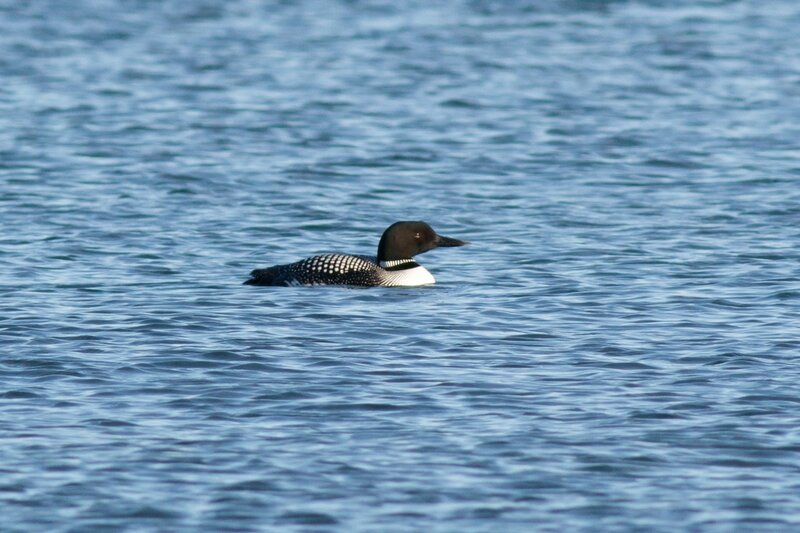 Any of the lakes during their migration time of early spring, late fall. 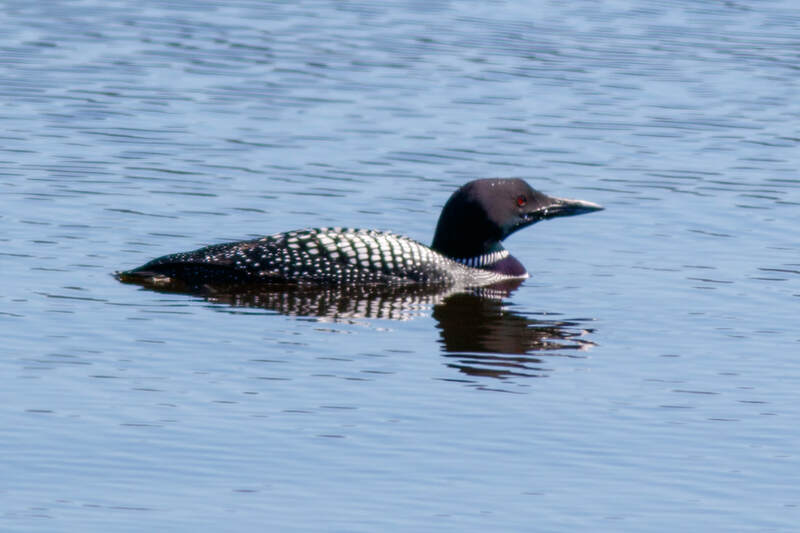 I've had them on smaller lakes such as Winnipeg Lake, and Graham Lake.